When I was a little girl, my favorite day of the school year was Valentine's Day. It came at the perfect time of the year when we were cooped-up inside due to cold, rainy weather. I enjoyed having craft time to make a pretty box for my Valentines with purple, red, and pink crepe paper and construction paper. Ribbons, hearts, doilies, and markers usually completed the project. I can remember taking my time picking out the perfect box of Valentines for my classmates. Should I choose Scooby Doo or Holly Hobbie? Then I had the task of addressing the Valentines to my classmates. I chose my favorite Valentine cards for my favorite classmates. If I didn't like you, you were sure to get a Velma Valentine. (Ironically Velma is my favorite character now, LOL!) My teachers usually wouldn't let us read our Valentines at school; we had to wait until we got home. Oh, the agony of waiting! First of all, I painted the entire canvas with gesso (made by Golden). The little stretched canvas is natural, but as an artist I tend to gesso everything, so I gessoed this one to make it seem like a small primed canvas. Then I cut out the notebook paper image from the 7 Gypsies Ordre du Jour 8" X 8" 2-sided paper pad with deckle scissors. J'adore the images in this pack! I glued it to the canvas, and then painted an apple on an ATC canvas. It's a tiny little painting! I cut the ATC down to only 2" X 2"
Since I'm an oil painter I wanted to use that medium for this project. I then glued it in the middle of the 7 Gypsies paper, and added the wording with an ink pen. Et, voilà! A cute little Valentine reminiscent of a note passed during class. I love how the 7Gypsies paper appears to be wrinkled. It's designed that way, but it's perfectly smooth to the touch. Many of the papers have trompe l'oeil in their designs! 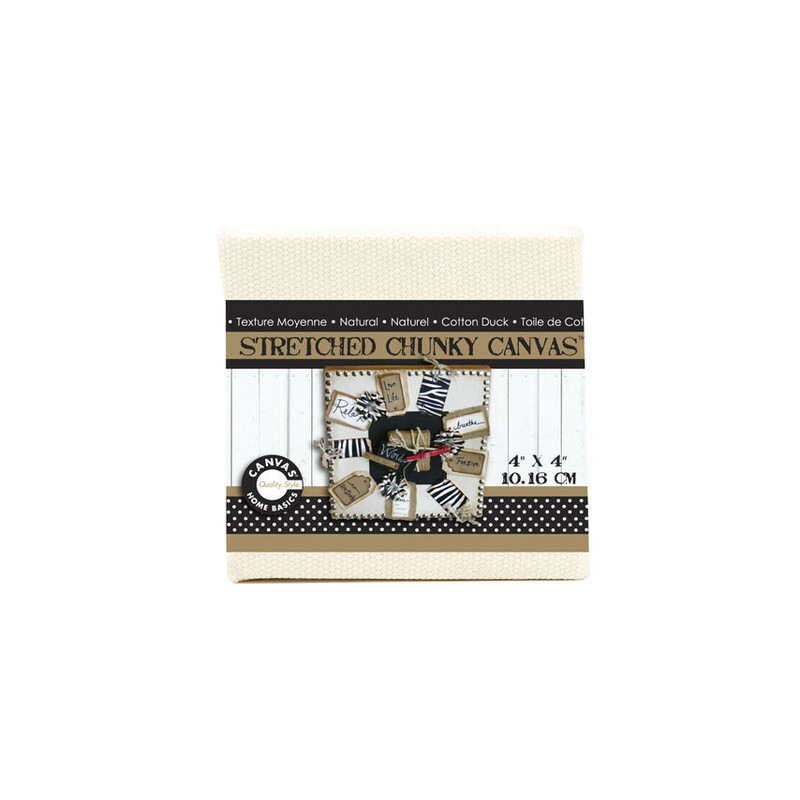 I do like the little canvases. 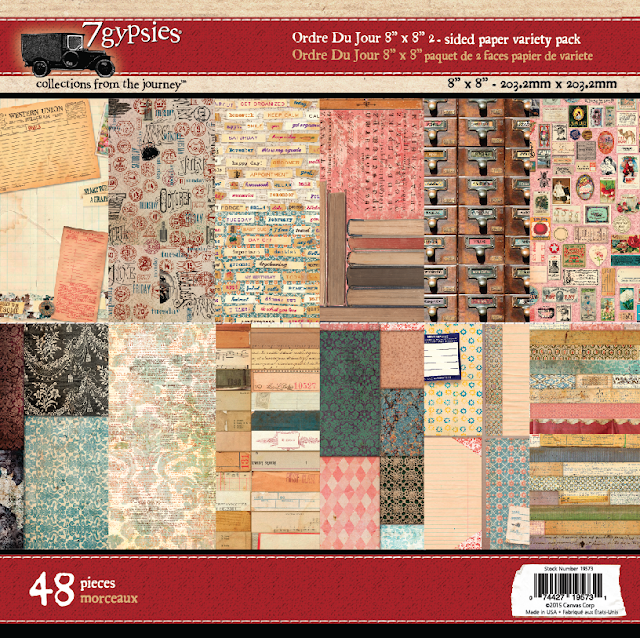 This project is an easy one, and you could easily make a pretty collage with the 7 Gypsy papers and write a poem or love note to your Valentine! Lovely :-)) I love the note. When I liked this on Instagram, I loved it, but I was on the beach and the sun was glaring so I didn't see who had posted it. Just lovely! Yep, I remember the days of passing out Valentines at school. Everyone got one, whether you liked them or not, lol!